"A delightful and generous follow-up recital. 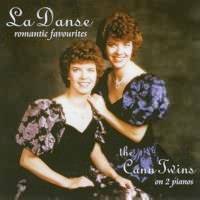 There is plenty of virtuosity and, as usual with this very musical duo, they are especially enjoyable when playing transcriptions; both the Sleeping Beauty Suite and the Polovtsian Dances are sparkling examples"
"They caught the shimmering tone colours of Ravel's Introduction and Allegro to perfection. No less impressive was Fauré's Dolly Suite"
On its release 'La Danse' was selected alongside recordings by Richter and Argerich in HMV's Top 49 CDs. "This is a delightful record. Almost all these pieces are best known as orchestral music, but here they scintillate in their two-piano and piano-duet format. 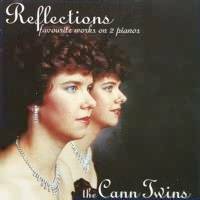 The Cann sisters' playing is totally winning without any preciosity or self-consciousness and with real joy in the music consistently communicated. 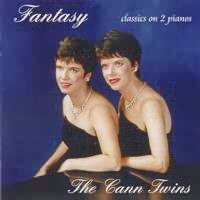 I recommend this CD strongly; you won't regret its purchase"